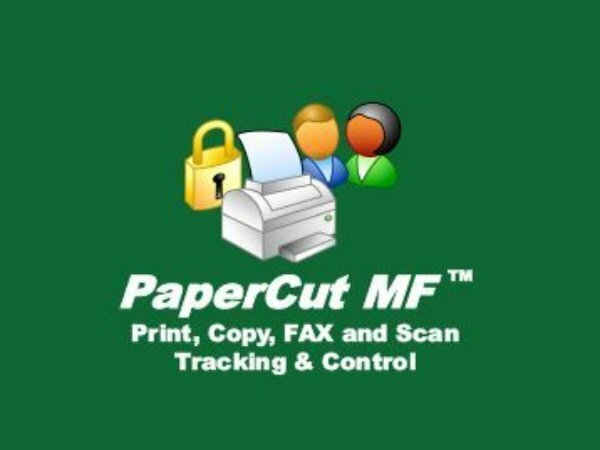 PaperCut MF is a simple to install, low cost multi-platform software solution that enables, schools, libraries and businesses of any size to manage, account and recover all print, copy, fax and scan output via onboard, embedded software and modern web-based administrator interface. Out of the box PaperCut MF will cater for sites with many thousands of users, with basic installation taking less than 15 minutes. Business and IT Managers first decide and configure the software to support required policies, which may include, applied quotas for students, available shared accounts for staff, access rights based on job requirement, enhanced job routing to maximize efficiency while reducing cost, and "Find Me' pull printing for the enablement of simple secure access and printing of documents from any supported device by way of username and password, account code or ID card. Users from the touch screen control panel of the HyPAS-enabled Copystar MFP gain access to all enabled features. Output is then charged, billed or accounted for through simple graphical on-screen prompts, as determined and set by the managers. Driverless web printing allows users to securely release and print documents submitted by mobile net books, iPads and other devices. PaperCut is unique in that it can support simultaneous native installs in sites running Windows, Mac, Linux and Novell concurrently. Solving Real Business Needs.